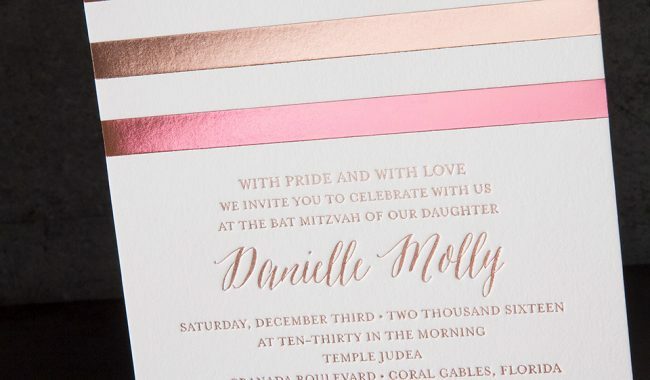 Two-tone rose gold foil stamped Bat Mitzvah invitations. foil stamping. Bella Smooth Cotton 1-ply + 2-ply paper in white. 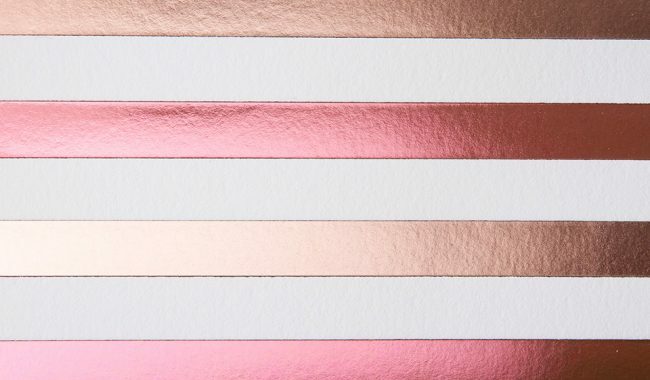 2 foil colors (rose gold shine + pink shine). We foil stamped Danielle’s feminine Bat Mitzvah invitations in rose gold and pink shine foils on Bella Figura’s Bella Smooth Cotton paper. 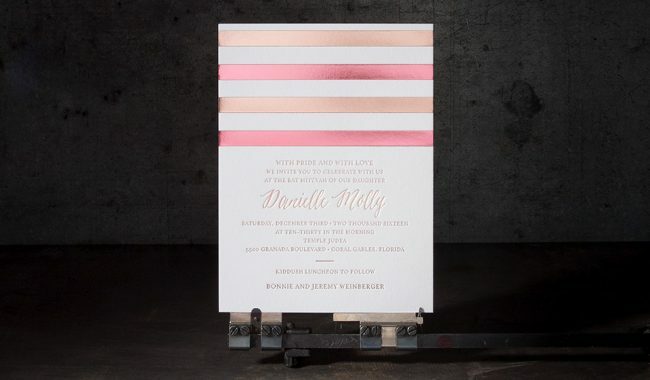 The invitation (6.25″ x 8.375″) featured both foil colors, while the foil stamped reply card and party card (both (3.5″ x 4.875″) featured the rose gold shine on its own. 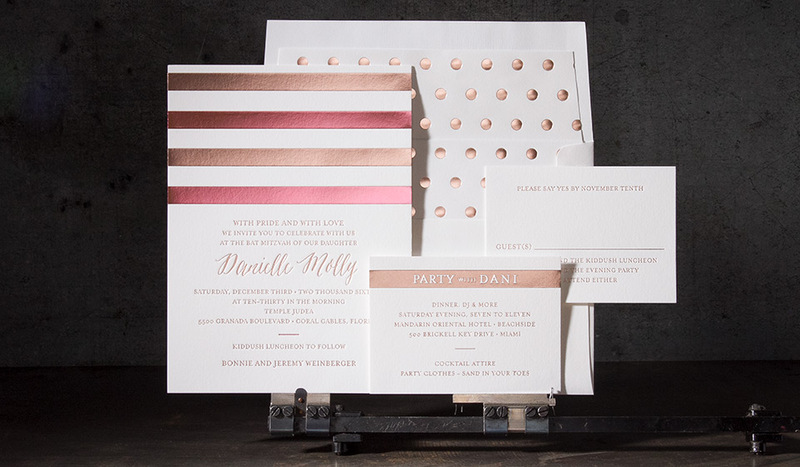 A polka dotted foil stamped envelope liner in rose gold shine added a sweet finishing touch.